Elizabeth Bennett is determined to ignore the frenzied dating scene in her college town. But when she meets Jack Wickham, a charming womanizer, and Darcy, a wealthy businessman, her resolve is put to the test. This is a must-see modern retelling of everyone's favorite Jane Austen novel! I am a diehard P&P fan, and hesitant to buy this modern version. Not only do I love it, it's my 11 year old daughter's new favorite movie! As she's not as enthused about the 1995 version, this allows me my P&P fix. Brilliant use of quotes from the book to introduce scenes. My teenage daughter and I love to watch this movie. It's very inventive and fun. Highly recommended. I have seen about 13 different versions of Pride and Prejudice and this is my favorite. My second favorite version is the 12 hour three disk set. I also recommend Bride and Prejudice! its a must buy! I don't think this movie has received as much attention as it merits. 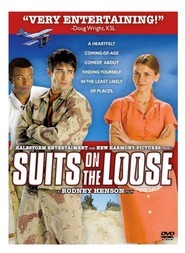 As I watched this movie, I realized that in several ways that this is the way more Mormon movies should be. 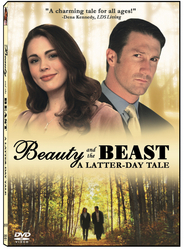 Without drawing attention to it, the movie takes place within a Christian/LDS culture. The people are like various people I've really associated with as part of a Mormon culture and I also feel for them--partly because in some way I can identify with the strengths and weaknesses of various ones of them. The story matters to me (and I believe it's content has fairly wide appeal). And there's also some very funny lines--some of which voice some of my previously-unuttered thoughts. I didn't think it was really "clean"--There was some suggestive dancing and immodesty. Not sure I think that scene in Sacrament Meeting was appropriate to show. I would not recommend for good family entertainment. 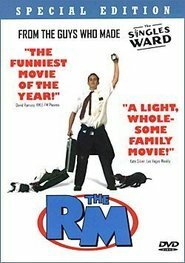 I liked the way the story was adapted to fit the LDS culture and it was done pretty well, we laughed a lot and enjoyed it ! We liked this one a lot. I love Pride and Prejudice and this is just such a fun twist on a classic! This movie is awesome. They took the classic story and made it modern, fun and moving! They chose the perfect actors and actresses... GREAT! This was a great adaptation of the classic Jane Austen story. It is fun to watch and very well-made. This is actually a good movie. I was skeptical, but it was a good quality and entertaining flick. By far this one is on the favorite list!!! I don't know why I think it is so funny, but I really enjoyed this movie. A fun adaptation of the classic for girls and women of any age. My sisters, mom, and grandmother love to watch this movie with me when we get together. The boys didn't seem to think it was too bad either, though they might not watch it with you over and over. I loved this movie. Mr. Bingley was so funny and I love it when jane and elizabeth go to the store. I just can't stop laughing. We all love this movie! I've always been a big Jane Austen fan and I love the way that they modernized it while keeping everything clean since we all know that's a huge problem with today's film industry! I recommend it to anyone that needs a lighthearted 'chick-flick'! I love how they took a Jane Austen and mormonized it! It is a great movie! we just loved it! very good message for all ages but especially the YM/YW and young single adults.